is one of Britain’s most successful and highly respected wind soloists. Her career is diverse and fascinatingly eclectic. She has performed as concerto soloist with orchestras such as the Philharmonia, the English Chamber Orchestra, the City of London Sinfonia, the London Mozart Players, the Ulster Orchestra and the Britten Sinfonia, with whom she recently made her second recording of the Mozart Concerto for BMG Conifer which went straight into the classical charts in its first week of release and is now a best seller. 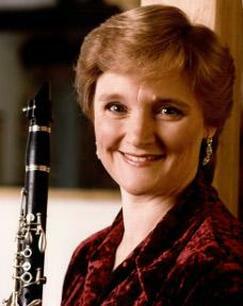 Joy is a founder member of the Haffner Wind Ensemble with whom she has broadcast and toured widely. This ensemble has broken down many barriers with both its education work , always led by Joy Farrall, which has introduced many thousands of children to hands-on music making. As a recitalist with Pianist Julius Drake she appeared at music societies and festivals all over Britain, at the Purcell Room and the Wigmore Hall in London, as well as in Spain, Australia, Finland, and Norway. 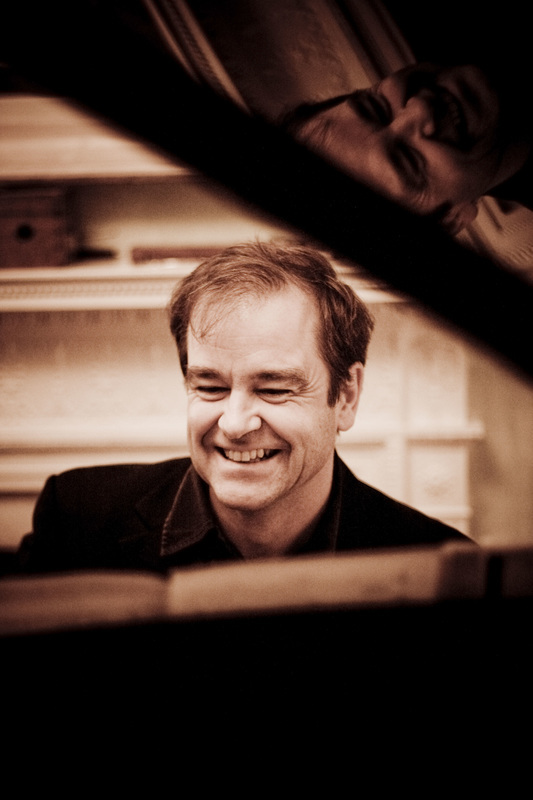 With Graham Johnson, Joy has performed Schubert’s Shepherd on the Rock all over the country as well as at the Wigmore Hall. In addition to this she has appeared as guest soloist with the Vanbrugh, Kreutzer, Medea, Brindisi, New Leipzig, Schidloff and Pellegrini String Quartets. Festival appearances include Aldeburgh, Cheltenham, Kuhmo Finland, Stockholm, Leicester and Cambridge. Joy is a famous exponent of new music and has had many new works written for and dedicated to her, most notably Simon Bainbridge’s Double Concerto and Clarinet Quintet, works by Oliver Knussen and John McCabe and most recently Edward Cowie’s Elysium. As a recording artist Joy has had special critical success for her CD releases. 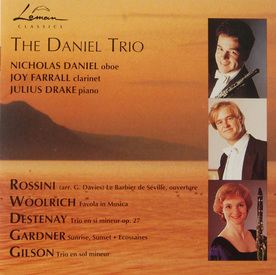 They include the complete Mozart Clarinet works on three discs on Meridan, the Strauss Duet Concerto for EMI, the Mozart Concerto on BMG Conifer, which she performs on the Bassett Clarinet, and various chamber music works for both Chandos and Hyperion. Her most recent release is a disc of virtuoso Italian Clarinet Concertos with the Britten Sinfonia on ASV. Joy Farral is a dedicated teacher who has done a great deal to influence the shape of British clarinet playing in the last seventeen years, both through her work as professor at the Guildhall School of Music & Drama as well as in her frequent master classes both at home and abroad. The pianist​ Julius Drake lives in London and enjoys an international reputation as one of the finest instrumentalists in his field, collaborating with many of the world’s leading artists, both in recital and on disc.